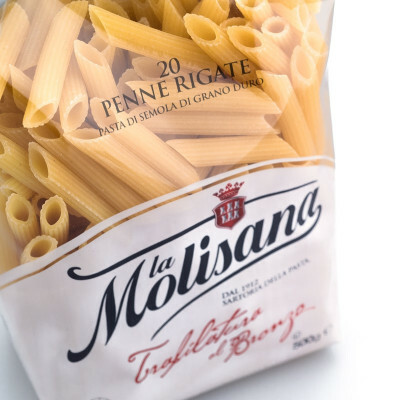 Rigate refers to the ridged outer shell of the pasta, traditionally cooked al dente. Classic, timeless type of pasta. Someone says that the “rigata” version is very popular in the South of Italy, where they generally like thicker and furrowed shapes that trap the sauce. 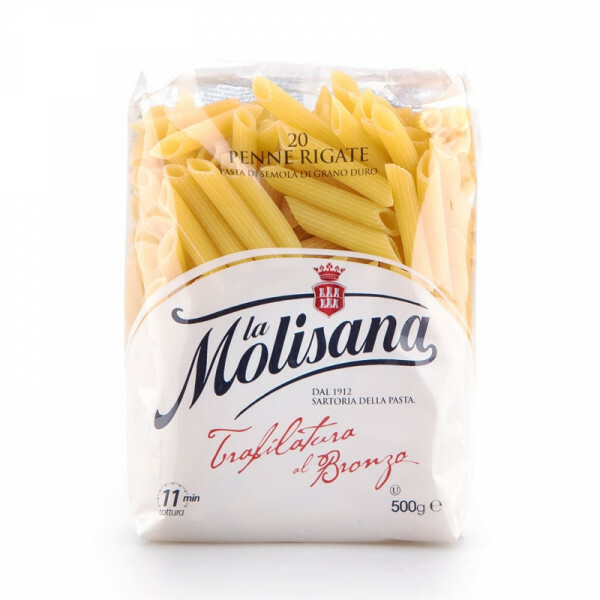 Durum wheat semolina pasta.GLUTEN. MAY CONTAIN TRACES OF EGGS.